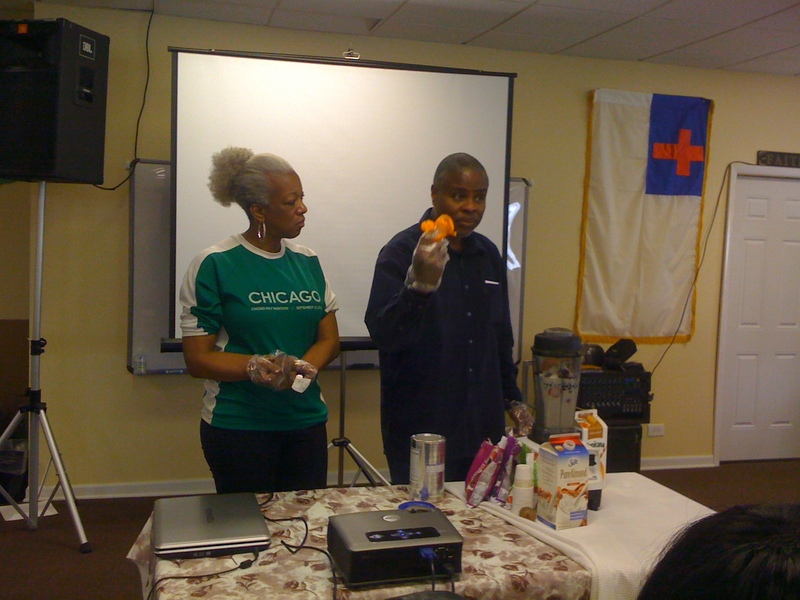 Englewood Running Ministry – Good Food Choices are Possible! Who says Englewood is a food desert? 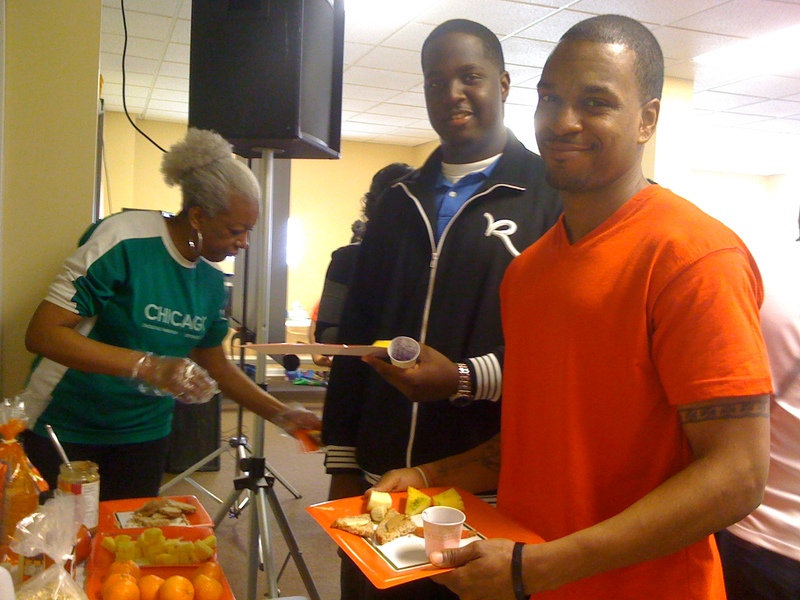 With organizations like the Englewood Running Ministry (ERM), you are bound to learn about how to eat well despite the presence of unhealthy food that is seemingly everywhere. This past Saturday, the members of the Englewood Running Ministry, whose group is a mixture of Englewood and non Englewood residents, gathered to learn about healthy food choices that would fuel their runs while training for the Chicago Half Marathon in September of this year. Louis and Johnetta Reeves of Family Focus Christian Center (FFCC), founded the Englewood Running Ministry three years ago and have been leading people in their race training endeavors ever since. FFCC is located in the Englewood area and is clear about one of their main focuses in serving the surrounding Englewood community: providing information and assistance regarding health and wellness to combat disease and low quality of life. Saturday's healthy food demonstration was accompanied by a talk that invalidated reasons why many people think they cannot eat healthy. Johnetta mentioned excuses like time limitations, cost and stubborn family traditions. Members of ERM were able to sample a variety of healthy food items: organic apples with almond butter, Ezekiel 4:9® bread with Earth Balance® spread, fresh fruit, smoothies and organic boiled eggs. These were suggested breakfast items while light snacks and lunch/dinner options will be demonstrated next week.